Multi-Loaderis a range of tracked loader with Bi-Levelingtechnology (patented), able to keep the loading surface constantly horizontal even during the movement on rough or sloping terrain (DynamicLeveling). 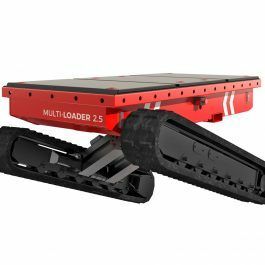 Multi Loader version 2.5 isable to transport up to 2,500 kg, on slopesequal to 20 ° (40%), without unbalancing the load and keeping it always in a horizontal position. It’s a tracked loader ecological and silent product thanks to the Lead Crystal Battery Pack of last generation that allows an autonomy of more than 10 hours. 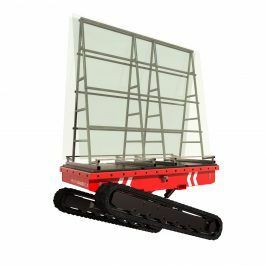 Mult-Loader can be used for handling glass, civil and industrial windows, equipment and/or construction equipment, forestry, industrial, agricultural (bins, etc. ), large carpentry with a combination of several transporters. © 2016-2019 All rights reserved. Almac srl. Website by LSA.